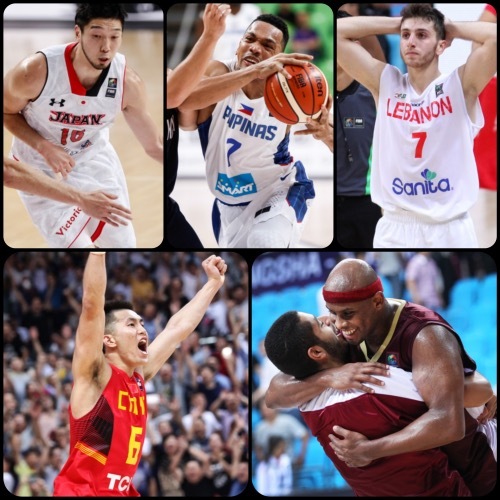 Day two of the 2015 FIBA Asia Championship was completely wrapped in excitement as the Philippines, Japan, and Jordan booked their first wins, China rallied for a stirring come-from-behind win, and Qatar played through two overtimes before beating Lebanon! Here are the complete results from Day Two! The Philippines were the goats on day one after their loss to Palestine, but they bounced back in a big way here, crushing Hong Kong. Bannered by great games from Jayson Castro, Andray Blatche, Terrence Romeo, and Dondon Hontiveros, the Filipinos led from start to finish in the hopes of erasing the bitterness of the previous day’s embarrassment. Coach Tab Baldwin’s wards dominated on both ends of the floor against a Hong Kong side that opened their account with a blowout of Kuwait. 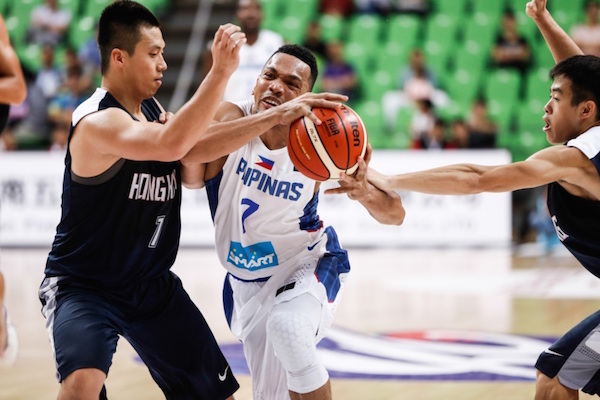 With their big guns firing on all cylinders and their defense limiting Hong Kong to just 30% shooting from the field, the Philippines served notice that yesterday’s result was a fluke. They take on Kuwait on day three, while Hong Kong battle Palestine. Chan Siu Wing was a bright spot for Hong Kong. Jayson Castro had a dominant outing o day two. India stuck with Iran for one whole half before the defending champions broke the game open and prevailed. The Indians trailed by only 9 points at the halftime break, seemingly setting the stage for an upset-in-the-making, but Team Melli flipped the switch in the second half to break the game wide open. 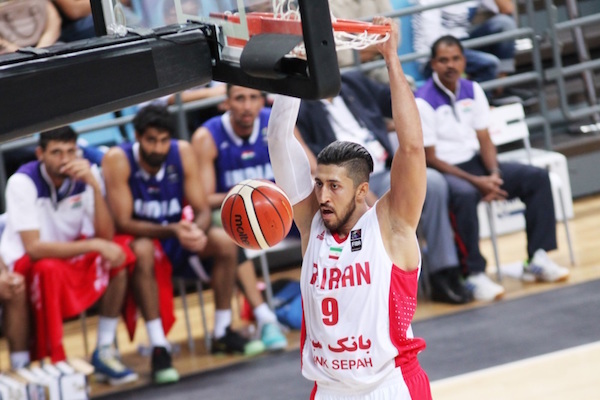 Five Iranian players scored in double-figures led by Mohammad Hassanzadeh’s 18 points. Mahdi Kamrani and Samad Nikkhah Bahrami, meanwhile, dropped 13 and 12 points respectively in support. The losing side were paced by Amjyot Singh’s 26 points and 9 rebounds, while Amrit Pal Singh and Yadwinder Singh each tallied 10 points. 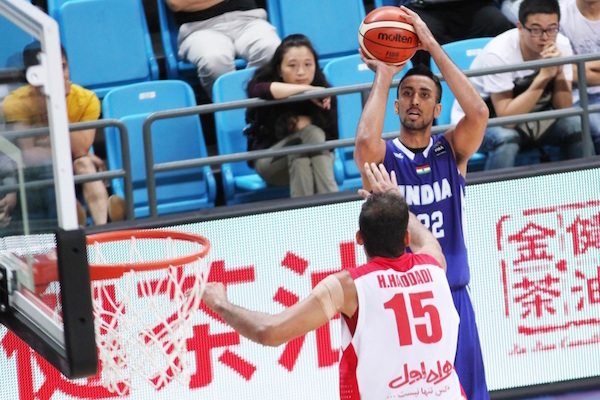 Amjyot Singh and the Indians put a bit of a scare in the Iranians in the first half. Mohammad Hassanzadeh stepped up big time off the bench. 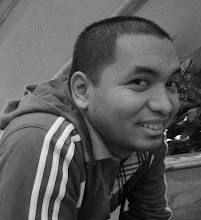 Japan started strong and never let up in their demolition job of lowly Malaysia. Japan scored 32 points in the first quarter and limited their foes to just 9, and that set the tone for the entire game. Team Hayabusa were unstoppable in this one, hitting 61% of their 2-point field goals and 49% of their three-point bombs. 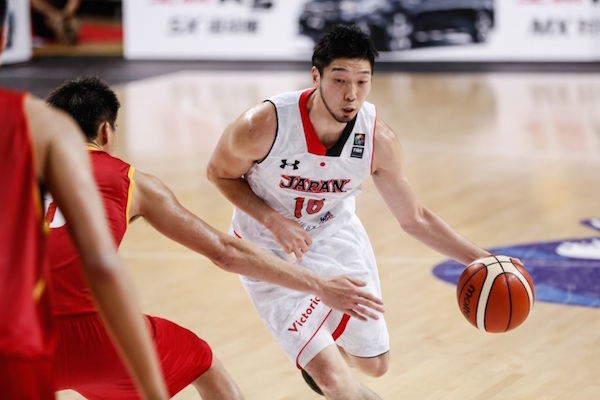 Seven Japanese players broke the double-digit scoring barrier for coach Kenji Hasegawa. Keijuro Matsui had 25 points to lead the way, while Joji Takeuchi, Takatoshi Furukawa, Ryumo Ono, and Kenta Hirose all scored at least 12 points in support. Malaysia was paced by Chee Kheun Ma and Wei Hong Choo, who tossed in 11 and 10 points respectively. Keijuro Matsui was on fire, hitting seven three-pointers! Malaysia sinks to a 0-2 hole after this loss. 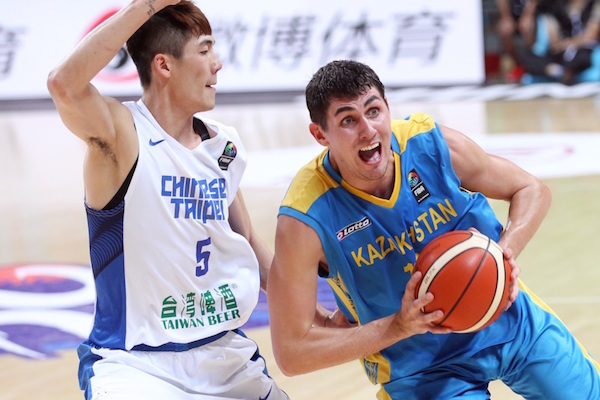 Kazakhstan weathered a second half surge from Chinese Taipei to book their first win. 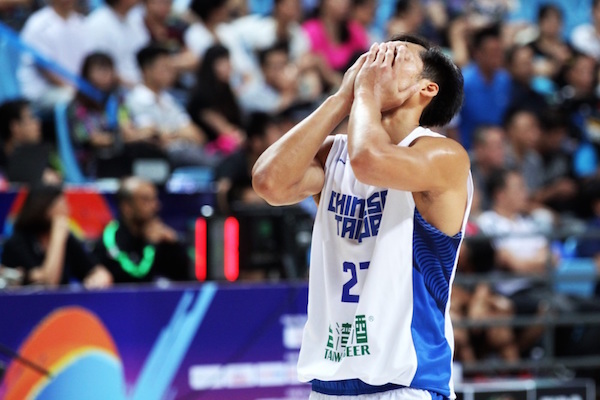 Kazakhstan started this game like a house on fire, outgunning their foes, 25-7, in the first period, but Chinese Taipei trimmed the deficit to a more manageable 12 points at the half. 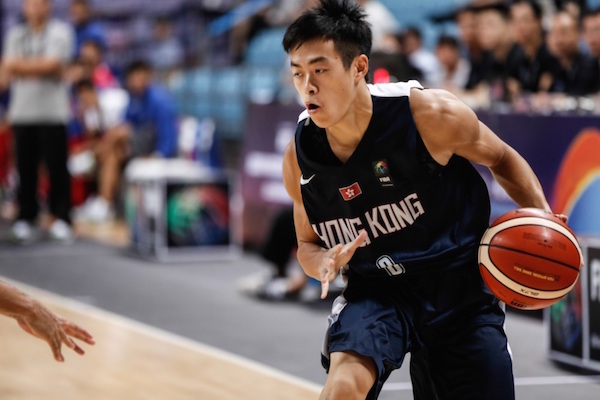 Chinese Taipei last threatened with about a minute left to cut the deficit, 78-71, but coach Vitaliy Strebkov’s wards proved to be up to the task and successfully kept their East Asian opponents at bay till the final buzzer. Anatoliy Kolesnikov scored 17 points and hauled down 7 rebounds for the victors, while Jerry Johnson and Dmitriy Klimov added 14 and 12 points respectively. Former SBL MVP Liu Cheng paced Chinese Taipei with 21 points off the bench. Dimo Klimov and the Kazakhs were able to survive this one after losing on day one. Lin Chih-Chieh's frustration says it all as Taiwan is bound to finish in the bottom four for the first time ever. Hosts China set the FIBA Asia Championship alight by coming back from a 20-point deficit and stunning Korea. 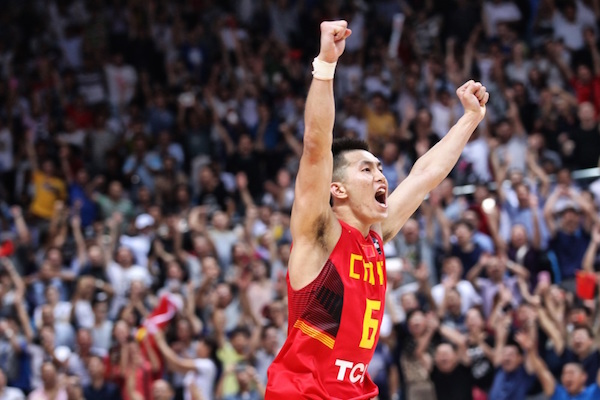 Zhou Qi, who had a sensational game, dunked with just under a minute left to put China in front for good, although the Far East giants needed a fearless drive into the lane and lay-up from Guo Ailun with eight seconds remaining for a 74-71 lead. After each team made two free-throws, Korea had the ball for one last attempt to tie the contest. They heaved the ball up the floor to Cho Sungmin and he was able to launch a three-point attempt from the left wing without being fouled, but his shot was off target. 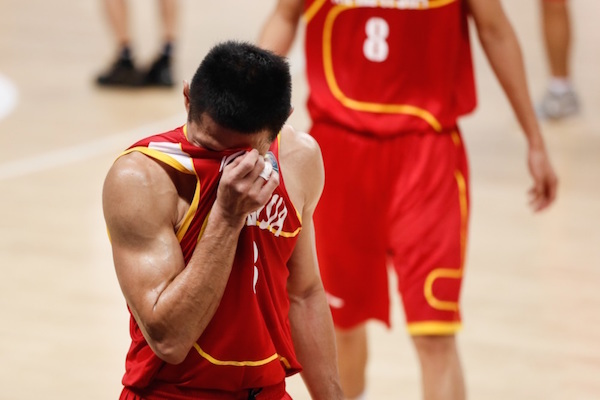 Guo Ailun hit a critical lay-up late in the game as China rallied from 20 points down to win. Moon Tae-Young hasn't been playing up to expectations so far for Korea. 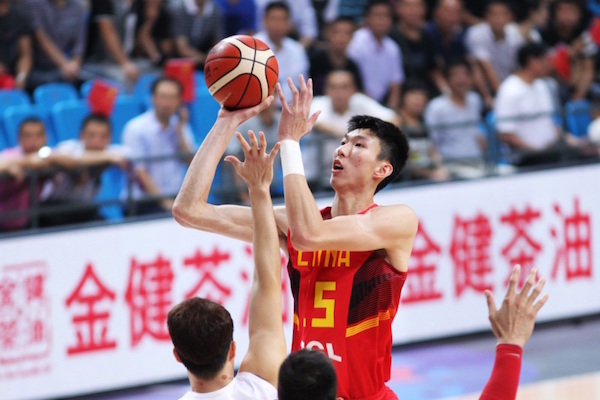 Zhou Qi was a tower of strength for China, anchoring their second half surge. Sani Sakakini and Jamal Abu Shamala wreaked havoc for the second day in a row as Palestine blew out Kuwait. 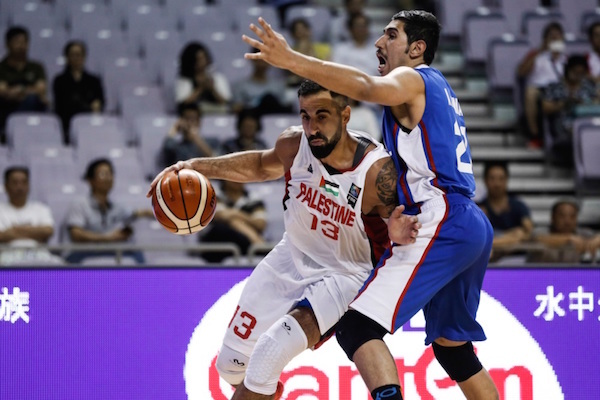 The duo combined for 46 points, 14 rebounds, and 4 steals, and Abu Shamala showed off his perimeter shooting skills once again by making all four of his attempts from long range after opening the tournament on Wednesday with a 6-of-10 display from the arc in Palestine's 75-73 upset of the Philippines. In command by half-time with a 49-35 lead, the Palestinians put the game out of reach by scoring 20 of the first 22 points in the third quarter. 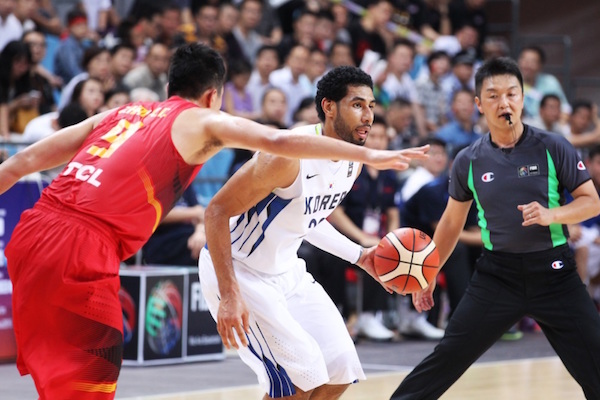 Naser Al-Zafiri and the Kuwaitis lose their second straight game. Sani Sakakini attacks the Kuwaiti defense. 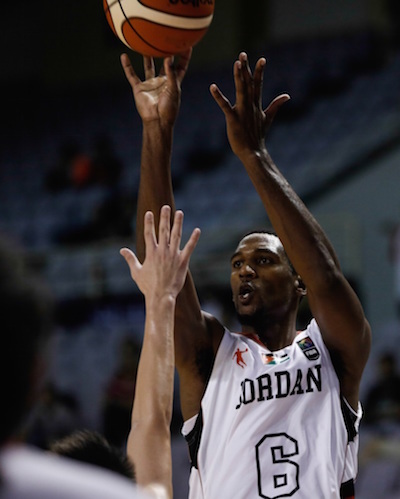 Jordan got on the board with their first win after blasting SEABA team Singapore. 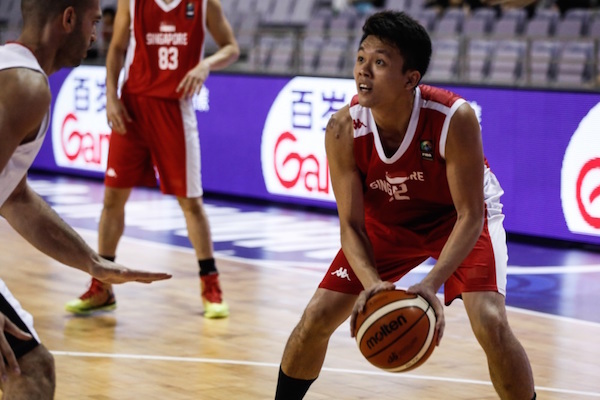 Jordan had a hot start, outscoring Singapore, 34-13, in the first period, and they were pretty much on cruise control the rest of the way. Alex Legion had 19 points to pace the victors, while Zaid Abbas added 15 markers. Ali Jamal Zaghab was a tower of power in the middle, putting up 11 points and grabbing 10 rebounds. Singapore, meanwhile, saw Lim Shengyu and Wong Wei Long lead the way with 19 and 14 points respectively. Alex Legion helped carry Jordan to win #1. Shengyu Lim paced the losing side with 19 markers. Trey Johnson and Saad Abdulrahman Ali cam up huge late in regulation and in both overtime periods as Qatar survived another marathon match. Saad forced the first overtime by hitting three free throws with 9 seconds left. Johnson, meanwhile, forced the second overtime after hitting a jumper. Saad came up big again in the final period, hitting two dagger threes that put Qatar beyond reach. Johnson had 31 points and 7 rebounds to pace Al Annabi, who also drew 20 markers from Saad. Lebanon saw Ali Haidar drop 24 points and 11 rebounds, while Jay Youngblood scored 19. One of the Cedars’ main players, Ahmad Ibrahim, fell into an injury during the game and never came back. Let’s hope it won’t prevent him from playing in the rest of the games. Saad Abdulrahman Ali scored 15 points in both overtimes to lead Qatar to the big win. 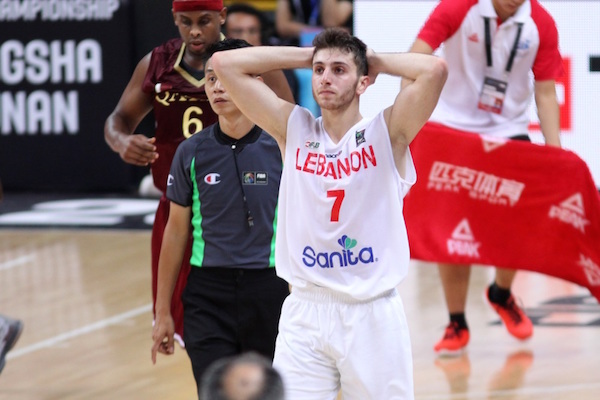 Wael Arakji had some miscues in the endgame that didn't help Lebanon's chances.